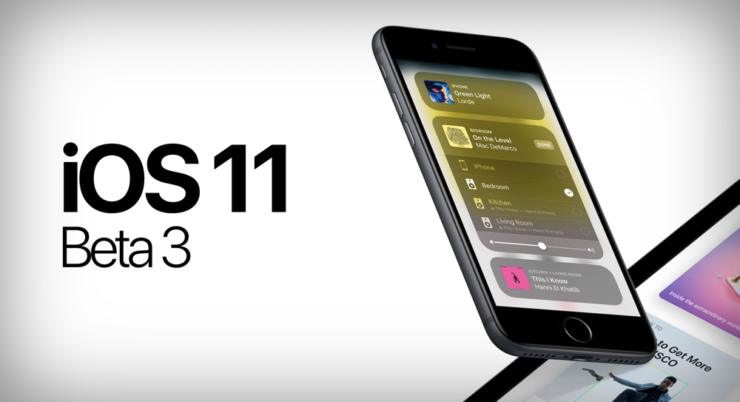 Apple has released for download iOS 11 Beta 3 for compatible iPhone, iPad and iPod touch devices. Having released the second beta of iOS 11 a couple of weeks back, the time is right for the third one. iOS 11 Beta 3 is here, and is available to download for all compatible iPhone, iPad and iPod touch devices. You can learn more about iOS 11 by going here. The first download route is the simplest. If you have iOS 11 Beta 1 or Beta 2 installed already, then you can update to Beta 3 without any fuss at all. Once iOS 11 Beta 3 shows up for download, tap on the Download and Install button. This is the route you should be taking if you are installing iOS 11 Beta for the first time and happen to have an Apple Developer Program membership with you. Just follow the relevant links below for more details. The option is there, but it’s not recommended since the iOS 11 Public Beta is available for free. Don’t have an Apple Developer Program membership? Don’t worry, you can download iOS 11 Beta for free via Apple’s Beta Software Program that is meant for the public. Follow the link below for download details. If anytime you feel the need to roll back to iOS 10, then follow the guide posted below. You will lose your data, keep that in mind. It’s likely that Apple made a lot of under the hood changes in this build of iOS 11, but that doesn’t mean that the company might have skipped out entirely on making some cosmetic changes as well. Whatever the changes might be, we will be covering them here, so stay tuned for more.